Reviewing research and evidence is vital to your role as a commissioner of health services. Using evidence takes the guesswork out of knowing what works! Evaluation is part of Evidence Informed Commissioning. An evaluation toolkit has been developed alongside this evidence toolkit. This toolkit supports commissioners across the West of England. For those new to finding and using evidence or needing a refresher, the toolkit offers a useful starting point, to help find and access the most relevant evidence and signpost you to more information and specialist help, should you need it. 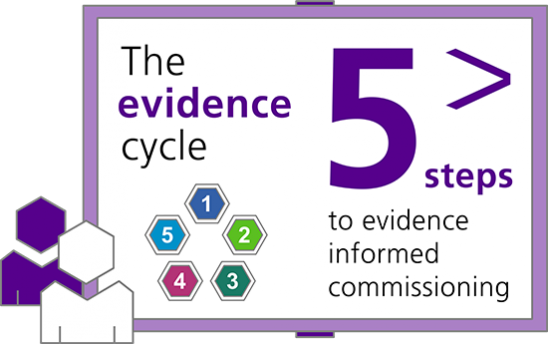 Why is evidence informed commissioning so important? 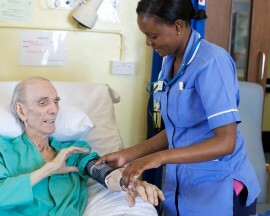 In the NHS we are familiar with working within a constrained financial environment. Using evidence to back up our decisions means we have a better chance of getting things right first time. Help you make prudent use of scarce resources. Increase the chances of commissioning objectives being achieved. What is Evidence? 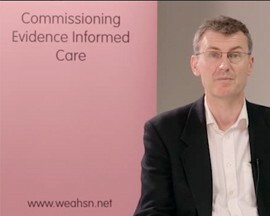 When making decisions, commissioners need to consider a range of different types of ‘evidence’: Research papers, guidelines, evaluation, population and surveillance data, policy, health needs assessments, activity data, feedback from stakeholders, patients, carers and the public.This Guide supports commissioners to access evidence from range of sources. Local services & Contacts There are a number of different people and services in your area that can support you to find and use evidence. Both the Evidence and the Evaluation Toolkits were devised, developed and piloted by BNSSG Research and Evidence Team, supported by a number of partners. The West of England Academic Health Science Network (WEAHSN) has now provided key support to allow these to have a greater reach and this has been facilitated by the CLAHRC-West. We would like to thank all those who contributed to the development of the Evaluation and Evidence toolkits. This includes commissioners, service improvement leads, GPs and practice managers from Bristol Clinical Commissioning Group (CCG), North Somerset CCG and South Gloucestershire CCG; Bristol Public Health (Bristol City Council), South Gloucestershire Public Health (South Gloucestershire Council) and North Somerset Public Health (North Somerset Council); Primary Care Library Services (North Bristol Trust), University of Bristol, NIHR CLAHRC-West, University of the West of England and the WEAHSN. We would also like to thank everyone who was involved in the testing of this tool – your views were invaluable to shaping its direction.